Pinafore Standard Poodles has been devoted to breeding Poodles since 1963. 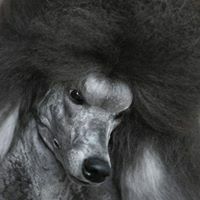 More than half a century later we have established a line of Standard Poodles that is recognized worldwide, not only for beauty, but for temperament and excellent health as well. We are always happy to share that special puppy with you. Breeding Black, White, and Silver.